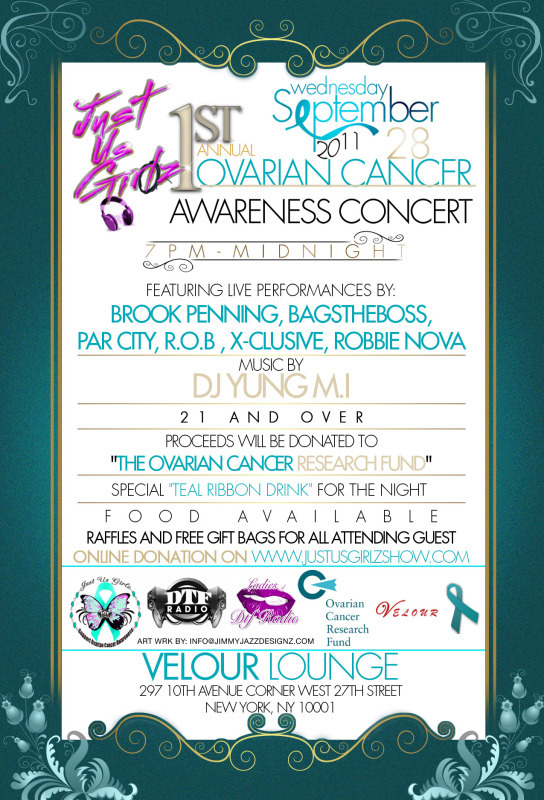 WHAT: Performances by Bagstheboss, Brooke Penning, Robbie Nova, r.O.b, X-clusive etc Music by Dj Yung M.I. WHY: Ovarian Cancer is Cancer of the ovaries, the reproductive organs responsible for producing eggs and female hormones, and is a dangerous disease that can often strike without warning. 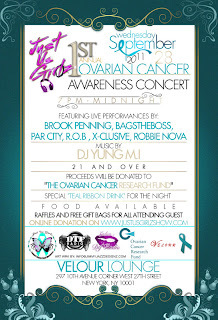 With this event the JUGZ plan to donate the proceeds to "The Ovarian Cancer Research Fund". Entrance fee is $10.